Danny Fletcher, TBH’s pin-up boy, writes this report from the Yorkshire dales. 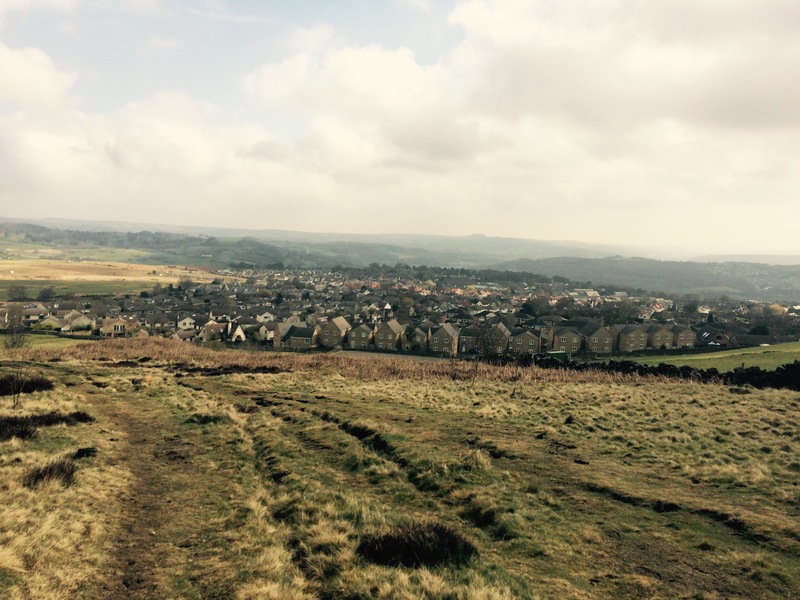 Baildon Boundary Way, probably a run that not many of you, if any have heard of, yet this multi terrain half marathon usually sells out in hours of entries being opened. 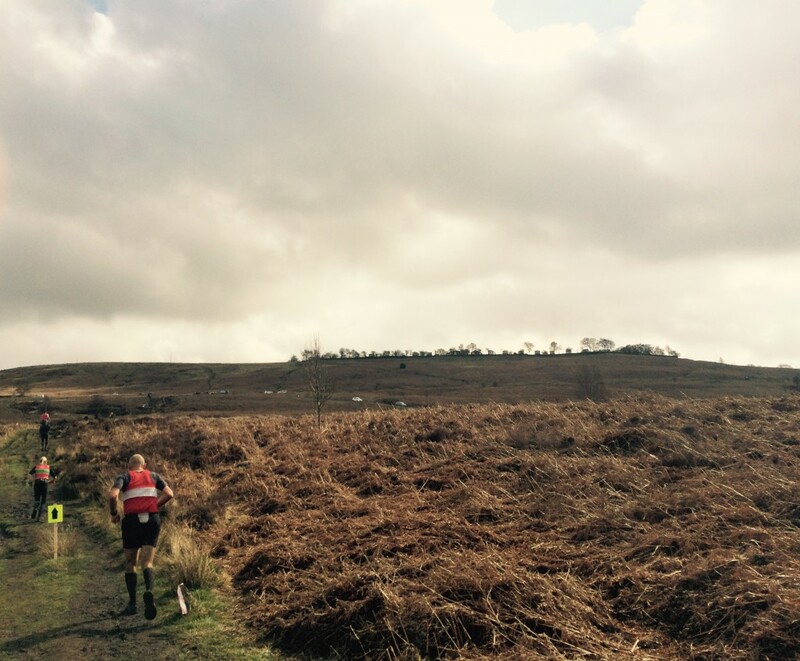 Organised by Baildon Runners the Boundary Way was described by Runners World as a challenging run taking in open moorland, single track woodland climbs and canal tow-paths. 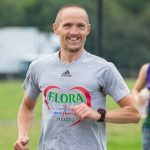 I entered knowing it wasn’t going to be easy, but looking back I think I really underestimated how much harder than a road half it was going to be. Baildon, a small town on the outskirts of Bradford is where I was born and raised. Other (in)famous Baildoners include ’Twice Nightly’ Richard Whitley and pop singer Zayan Malik. Baildon moor is also notable for being where Bob took Rita and Sue for a night of passion in the back of his Rover SD1 (a saucy film from the 80’s – DD). I’ve lived in Newcastle now for 10 years, but Baildon/Bradford will always be home and since I have started running I have wanted to go back and give this run a try. Meeting at Baildon Rugby Club to collect our numbers I had a look round at the people I would be running with. Its strange not seeing the same vests I am used to in the north east, or hearing chat of upcoming familiar races. As I didn’t know anybody I hid in a corner taking it all in. I had a look at picture on the wall of the route, there were marshals on route, but as a lot was off road you were often guided by bits of tape hanging from trees or little plastic flags peeking out from the mud. I just thought as I’m not going to be first I can just follow the person ahead of me, so no need to memorise it, so I went back to my corner. The smell of bacon sandwiches filled the air and looking outside at the mist and muddy fields ahead of me, I could of quite happily spent my morning in there. There was a table laid out with home made cakes for after and spot prizes of alcohol and running accessories for the presentation at the end. Something I would like to see more smaller runs do, as somebody like me is never going to win a place prize. A nice little touch I thought. I left the comfort of my corner in the rugby club and went outside to warm myself up and do some drills. I knew there would be hills, so lots of high knees. At 9ish a marshal announced that it was 30 mins to the start and we walked the (just shy of) 1km to the start line. Before the race the director gave us the pre race safety chat and advised that due to the recent rain it was going to muddy, and that due to the floods at Christmas the route had to be changed from recent years. Sadly the only way to do this was to add another hill onto the route. I winced as I heard a lad say behind me that he had done a reccy through the week and the new addition to the course was challenging. I find Jesmond Dene challenging, so if this wizened fell/hill runner says challenging I am picturing ropes and crampons. Briefly leaving the trails we headed toward Esholt Village which was Emmerdale before it moved to the studios at Harewood House, back when it was a farm. We headed up towards the Woolpack as a coach full of OAPs on an Emmerdale tour looked on at us in bemusement. Its beautiful round here with little cottages and I was enjoying looking at the scenery before there was a sharp left turn up to a hill that almost stopped me in my tracks. I do actually quite enjoy the odd hill, and hill sessions with the club are some of my favourites, but I had never come across anything like this before. Hills are hard enough, but when you have tree roots and mud to contend with they are nigh on impossible to run up. Looking around most had resorted to leaning forward with hands on their knees and battling on up. I’ve seen this before, but never done it myself so I just copied them and hoped I was doing it correctly. The marshals were great though and told us not to worry as it was going to level out at the top. I was starting to think that if I am going to lose time on the climbs, maybe I could just make up lost time on the descents? In short, I couldn’t. It’s so hard to get into a good rhythm because you need to look ahead at the ground as its forever changing. Running amongst the trees, the most common issue was roots and because of the uneven ground one leg constantly felt longer than the other. The faster runners looked like they were tap dancing down the hills. I quickly didn’t care about puddles and mud ran through, rather than around. It was often the safer option of running over wet rocks where I saw a number of people slip throughout the race. After the downhill scramble and a stretch on gravel paths we came out from the trees and onto the roads, a nice downhill to loosen the legs and let myself go. It was short lived though as we turned onto the canal for a short spell before approaching the part that had to be changed due to the past floods. Being in the Aire Valley, if you come off the canal you have to climb, and climb we did. Bloody hell, it was awful. I just had to grit my teeth and get on with it. I picked trees up ahead and aimed for those, than another and another until I got to the top. What goes up must come down, but as I had quickly come to learn it was never going to be easy and the downhill had us jumping into shin deep mud and climbing over stiles. Runners tumbled and we all swore between ourselves turning the crisp air blue. We eventually crossed a bridge came back on to the canal and had a few easy miles, when it was flat with no more than puddles to run through/jump over. I’m not the first Tyne Bridge Harrier to run here, Rob Wishart running on this stretch as part of his Leeds – Liverpool journey last year. So, I was able to picture that for motivation. We headed towards World Heritage site Saltaire which a beautiful model village built by Titus Salt for his factory workers. Worth a trip if you are ever in Bradford. The support here was great and much appreciated as I was missing the usual “Come on Tyne Bridge” or cheers from fellow club mates. Reading the course description before running I knew we were up for a climb for the last 5k, so I was just going to enjoy this bit while it lasted, and as I often say on long runs “Just a park run to go”. 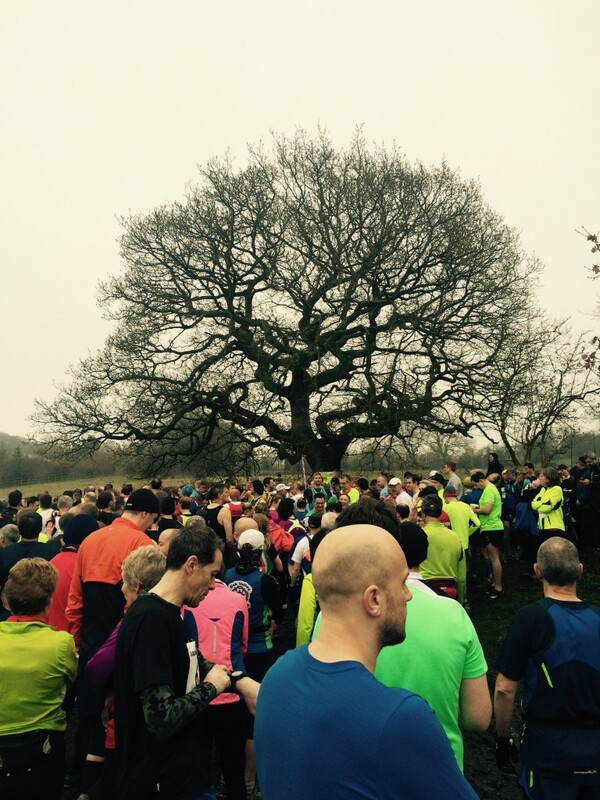 If what was to come was the norm for a park run I’d never do one ever again. 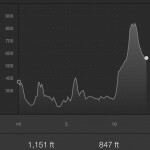 I have attached a picture of the elevation from my Garmin to give you an idea of the sheer enormity of this climb. Climbing back on to the moors the grass and bracken whipping at my legs I looked at the hill ahead of me. It was that long and the runners at the top were nothing but specks in the distance. It was back to hands on knees and swearing under my breath. There was a very well placed water station half way up and I used this as a welcome bit of respite, chomping on a jelly baby and downing two cups of water before plodding on. The hill didn’t let up, and it was the first time in a race when I have ever thought that I just had to stop. Not take a walking break, literally just stop. I have no idea what kept me going. The pace on my Garmin was showing numbers I have never seen before, but at least it was moving. I got to the top, and being at a trig point the marshal said we were as high as we could get so, it was all level, downhill towards the finish. Music to my ears Even this bit wasn’t easy as every bog tried to pull off my shoes and sapped what little energy I had left. Thankfully the down hill came, and I could see the Rugby Club in the distance, so I went all out and put my downhill running training into practice. I was grateful for the hill at Alnwick a few weeks ago as it gave me the confidence to go all out. Getting to the bottom we were told to turn right where we would see the finish line. Some evil person decided though that we had to climb some stairs to get there. Looking back I think there was only five or six, but at the time it felt like a hundred. Then it was just a matter of running round the rugby field towards the finish line. I love a sprint finish, but it wasn’t going to happen today. I just crossed the line and was grateful that it was over, but then that runners high takes over and you forget the pain you have been through and remember why you started running in the first place. By far the hardest thing I have ever done, and this report probably hasn’t done it justice. 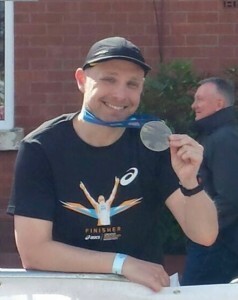 I finished the 13.38 mile Baildon Boundary Way in 2hrs 10mins!! A good 20 minutes slower than my usual half marathon times. Looking at the final results, first place was in 1hr 16mins and second didn’t come in until 1hr 32mins, and looking at their PO10 profiles I could see the times they were usually achieving, this just cemented the massive difference between on and off road running. Fell/trail runners, my hat goes off to you, you crazy crazy people!!! Smashing report Danny, and well done for finishing. It sound’s a beast of a race! And thanks for bringing back some child-hood memories. You never forget your first crush (Susan Storey) or sneaking a crafty peak at Rita, Sue & Bob Too. It seemed x-rated at the time but would struggle to get a 12A rating now haha!! I love the film, and it makes me laugh to this day. You’re right though, you see worse on MTV nowadays. If you ever share a car with Deb Airey she will have you in stitches reciting the odd line from the film. Great read Danny. But who is Zane Malik ? Great report, Danny!! 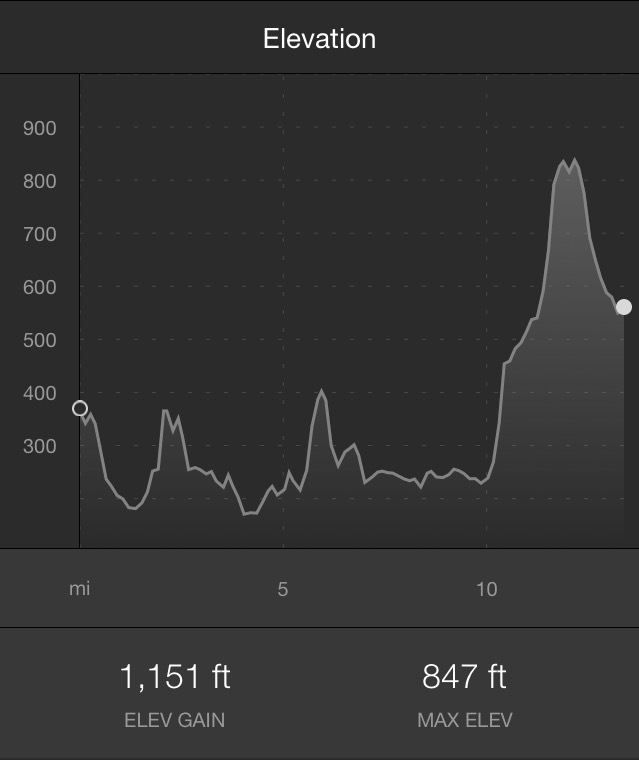 I find the GNR too hilly so there’s no chance I’ll be putting myself through this after seeing the elevation profile! Class read Danny, i felt tired reading it! That hill at the end looks absolutely brutal. A tip of my hat to you sir!